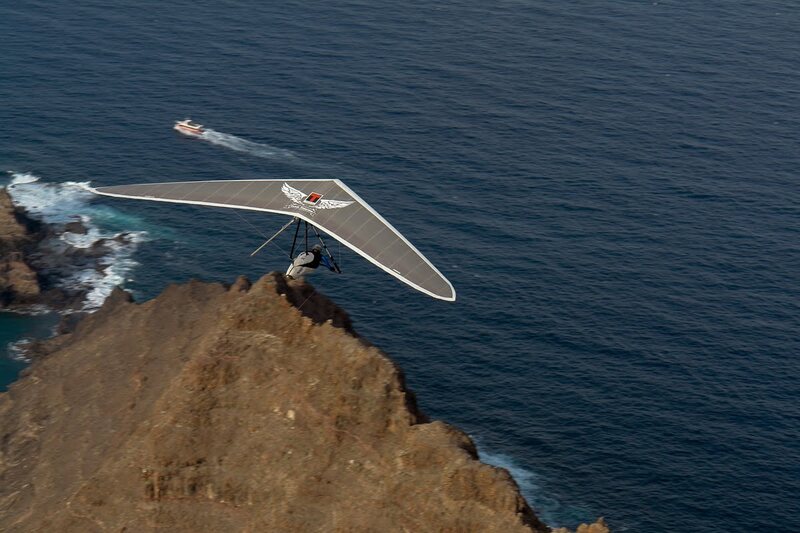 With the glider we survived the trip back for what I am really happy that glider survived the hostile environment of Lanzarote island and plane flying. The organisation of Juaki and Benito was splendid again. This is the perfect way of keeping things simple and effective, running the comp like they do. Of course it helps a lot with relaxed pilots in the comp but I know Juaki from European champs in 2010 where he and the team did a good job to. They helped me a lot as I was with out transport with out knowledge of where and how to get the place to sleep but they did it all for us pilots. 3 rented vans for everyone and nice discount on sleeping at Sands beach resort made problems with this things disappear. Thanks to the team for that. I also had my first real gaggle flying with my new Moyes Rs 3.5 and have to say that I loved every moment of flying with it. After about 15 hours on it I feel like I fly with it for years. Mixture of relaxed flying and a really good confidence in thermal abilities of the glider is a hell of a ticket for hardly awaited new season in 2012. Really really looking forward to it. For me it is March that Aeros Winter race is coming, for many others it is a long way down under to Australia for Pre-Wrolds in Forbes. 100 pilots are coming from around the world to compete few days after New years eve in the area that will hold World champs in 2013.